One of our goals for 2019 is to expand to some fascinating, but often forgotten capitals in Eastern Europe, Central Asia, and The Middle-East! Why? We think encouraging travelers to visit cities that could actually benefit from more tourists, is a good way to combat the problem of overtourism. Read more about our vision on overtourism. 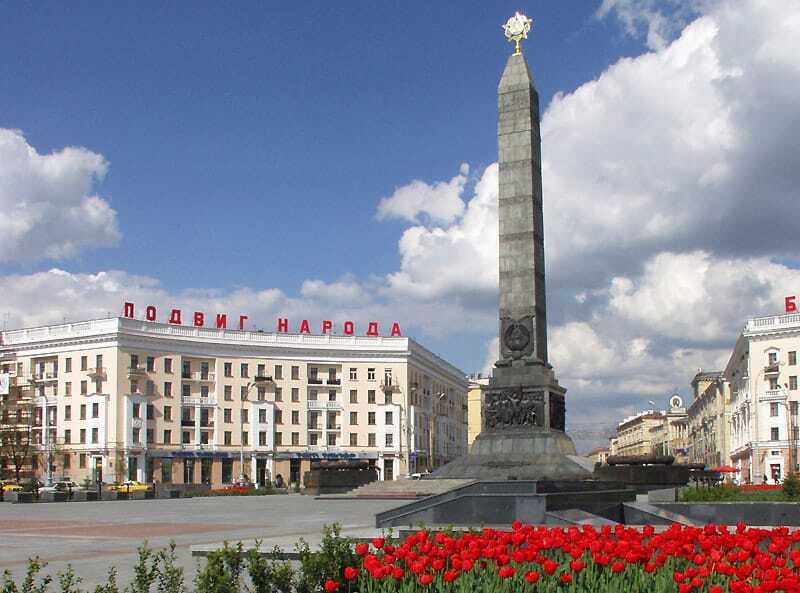 One of these cities that we are hoping to expand to is the capital of Belarus, Minsk! Now, we can understand it might not be at the top of your list at the moment. But we hope that when we launch our local city guide it will be! So, what do we know about Minsk? 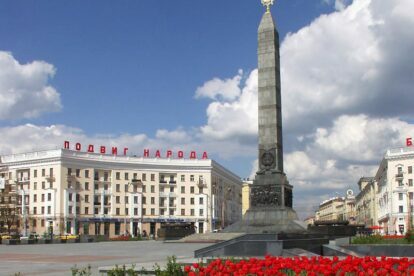 There is not that much information out there about tourism in Minsk, what we did find was mostly the same few things on different sites. But we are hoping to change this soon! It’s not really surprising that there isn’t much information. It was only in 2017 that Belarus started to accept visitors without a visa. Last year, the time you can stay got extended from five to thirty days, so now looks like the perfect time to go! It has a population of around 2 million. After its destruction in WWII, it was rebuilt in Soviet fashion. Its main street is over 15km long! 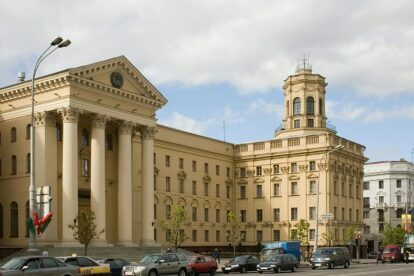 What can you do in Minsk? One of the things that kept coming up was that Minsk has beautiful parks! 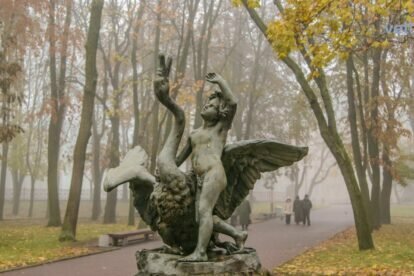 Like Aleksandrovsky Garden, where you can find the oldest fountain in the city and Mikhailovsky Garden, which is decorated with works by the famous Belarusian sculptor Vladimir Zhbanov. 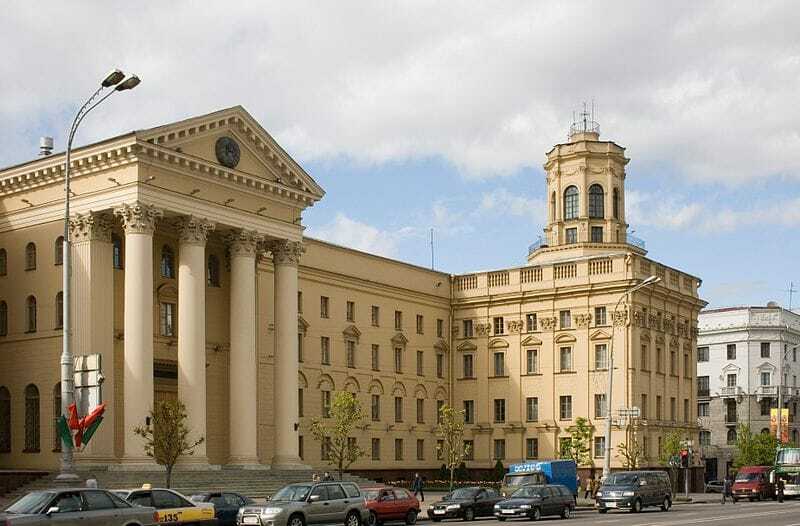 Since Minsk was almost entirely rebuilt after WWII it has some great examples of Stalin’s Empire Style in the 1950s. 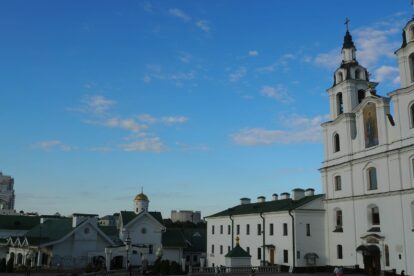 Old Town is the historic center of Minsk. Although the original 17th and 18th-century houses were recreated in the 1980s, it’s still a lovely place to wander around and take in the scenery. One of the biggest squares in Europe, Independence Square is host to a number of interesting sights, including the Church of Saints Simon and Helen otherwise known as the red church. 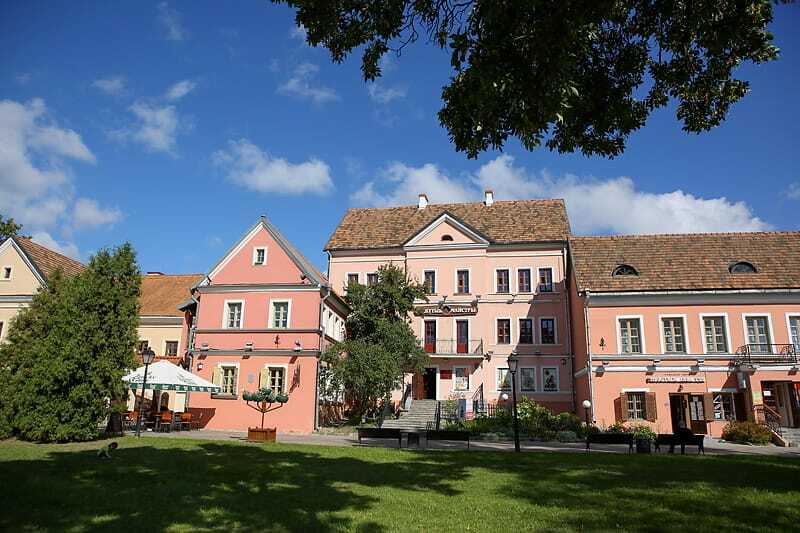 Located at Praspiekt Niezaliežnasci 17. you will find the KGB Headquarters! And although officially you aren’t supposed to take pictures of government buildings, it’s still an impressive sight. What do the locals do in Minsk? Where do the locals go for the best local food? Where can you find the nicest view? And where do they go on Friday night to celebrate the weekend? Finding out is exactly what we want to do! 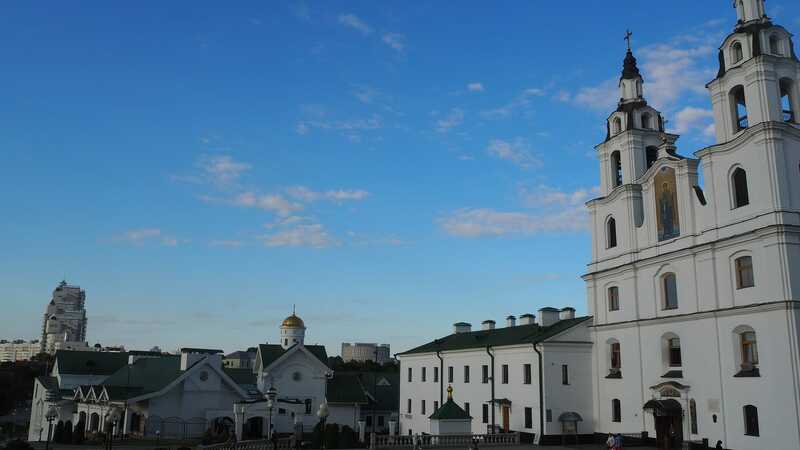 We’re sure that Minsk has lots more to offer than what is currently available online. 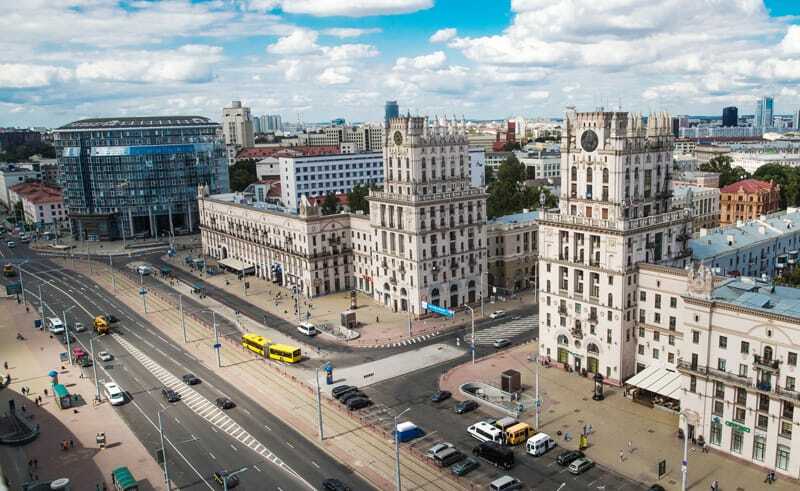 We want to help the citizens of Minsk share all there favorite spots around their city! Do you know people in Minsk? Please share the link of this article with them! 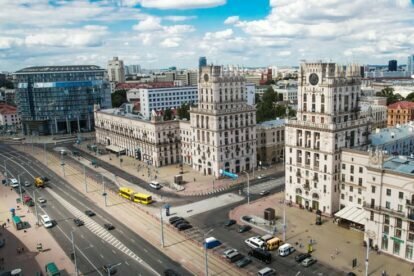 Any other thoughts about Minsk or did we get anything wrong in this article? Please get in touch via minsk@spottedbylocals.com.